Look what we did tonight! Daddy and Shelby carved the big one. Shelby wanted the pumpkin to look like it was scared. Then, Shelby and I did the little one. 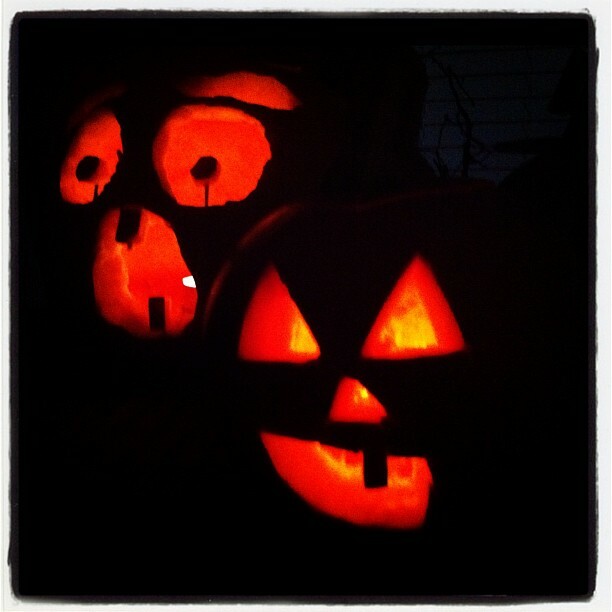 I let her draw the face on the little one and then I carved it exactly as she wanted it. Shelb's favorite part of pumpkin carving is pulling out the guts. She loves the slimy, gross guts. Cooper watched the whole carving business for about 30 seconds and then was over it. Maybe next year!